The Kennedys Condos Coming Soon by Samm Developments! The Kennedys Condominiums & Hotels is a new mixed-use condominium development currently in pre-construction at 2035 Kennedy Road in Toronto, Ontario by Samm Developments who is a real estate developer and builder based in Toronto. 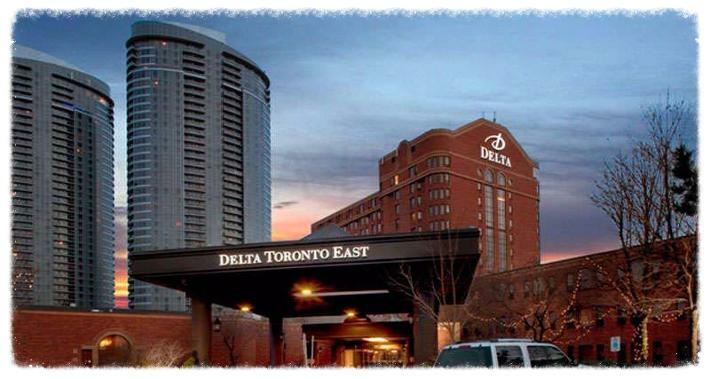 Information is very limited but it looks like the proposed residential buildings will be located where the existing Delta Toronto East Hotel is which has 13 storeys and 368 rooms situated at Village Green Square and Kennedy Road in Scarborough. 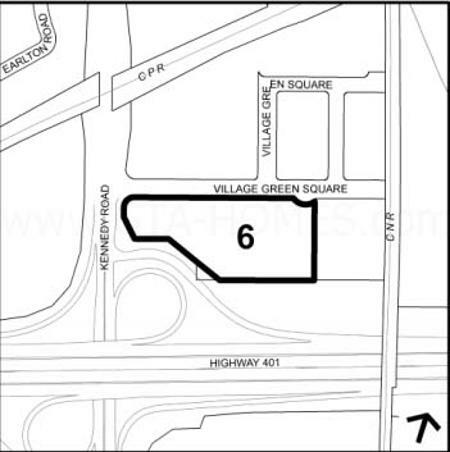 This site is about 2.77 hectares in size and includes a 5 level parking garage as well as surface parking lots. In addition to the proposed renovations to the Delta Hotel which includes a reconstruction of a portion of the southern section of the hotel, the proposal is for three residential buildings of 30, 35 and 40 storeys in height which will have a total of 882 dwelling units. Two of these buildings will be located close to the Kennedy Road frontage and the third one would be connected to the refurbished hotel entrance and lobby and would also accommodate a number of hotel rooms relocated from the demolished part of the hotel. "The addition of residential uses on the site will also help to link and integrate the new, rather isolated residential subdivision east of the hotel site with the existing, established residential areas west of Kennedy Road and along Sheppard Avenue East. Providing more housing and employment opportunities on the site will contribute to an efficient use of the serviced land and assist in creating an improved urban environment in the area." The Kennedys is located in the Agincourt South-Malvern West neighbourhood of Toronto and is situated in a family-oriented community with many schools and parks such as Giamorgan Park, Collingwood Park and Inglewood Heights Park. This development site is also located close to the Tam O'Shanter Golf Club and the Scarborough Town Centre shopping mall which has over 230 retailers. It is also close to public accessible transportation with the Agincourt GO Station Rail located nearby and also the Midland TTC Station. 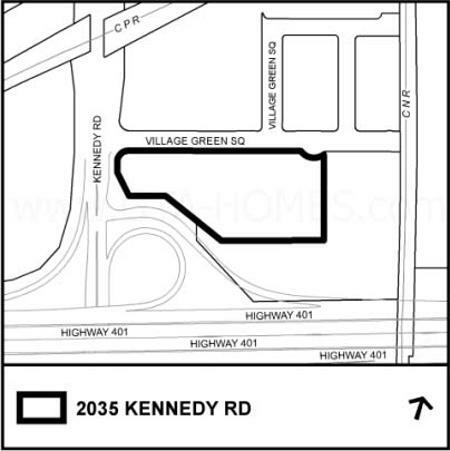 The Kennedys Condos is located right by Highway 401 and is minutes from the Highway 404 and the Don Valley Parkway. As more information becomes available, we will update this site accordingly. Please register with us today for more information on The Kennedys by Samm Developments! For more information, please register today for The Kennedys Condominiums & Hotels Platinum Access Preview Event.